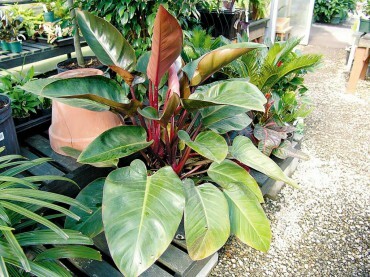 The outdoor plant maxim “right plant, right place” applies to selecting houseplants too. 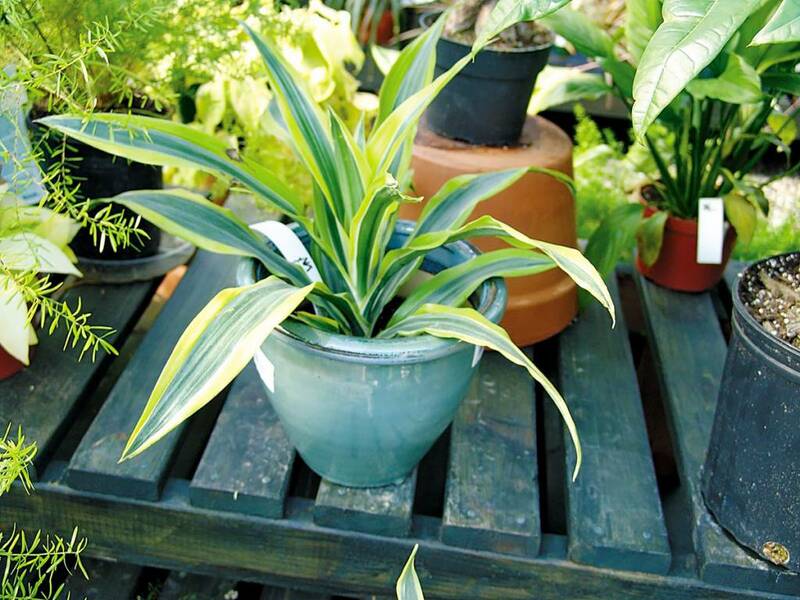 Try to find out how the houseplant grows outside in its natural environment, which is usually in much toastier climates than our Northwest affords. Nearly all the houseplants we purchase are grown in environmentally controlled greenhouses now, but originally they grew in a desert, rainforest or somewhere tropical or hot. 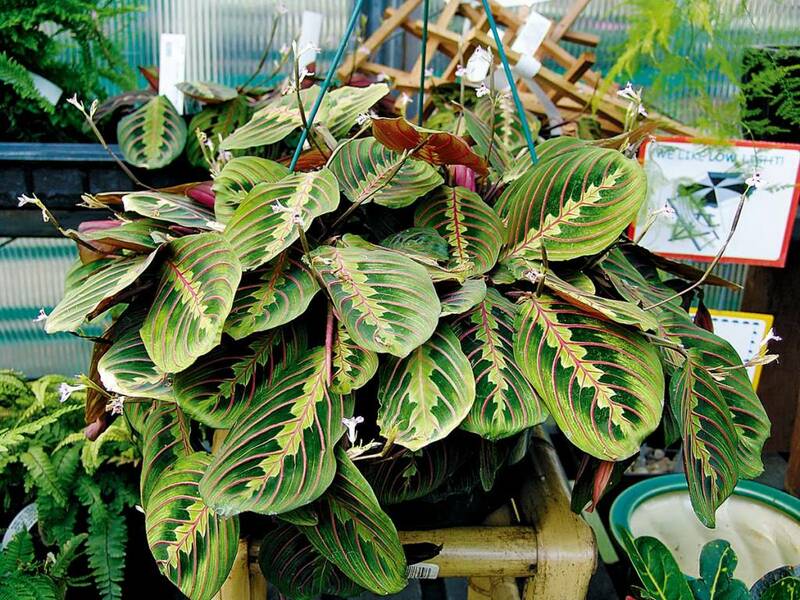 How do you select the right houseplant for your needs? Before choosing a houseplant do some window-shopping through a few good houseplant books at your favorite bookstores or library. Check out several Web sites (see sidebar). 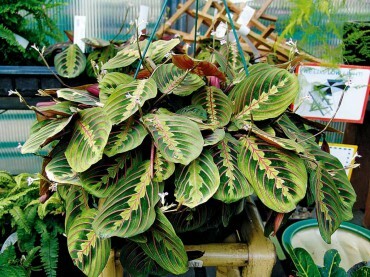 As you read up on houseplants, jot down the names of some that especially appeal to you. Besides texture and color of foliage, also notice the flowers and the shape of the plant. Imagine how it would show off your own home décor or blend in with the designs and art in your home. If a friend or family member has a houseplant you particularly admire, discover how the person found their plant. Determine how often they water, fertilize and repot their plant. These questions will give you an idea of how much work you may have to put into a similar plant in your own home. Missouri University Extension suggests these “durable” houseplants: Sansevieria (snake plant or mother-in-law’s tongue); Philodendron cordatum (heart-leaf philodendron); Pathos (devil’s ivy); Dracaena massanageana (corn plant); Peperomia obtusifolia (Peperomia); Aspidistra (cast iron plant); Collinea (dwarf palm); Aglaoenema (Chinese evergreen) and Chlorophytum (spider plant). 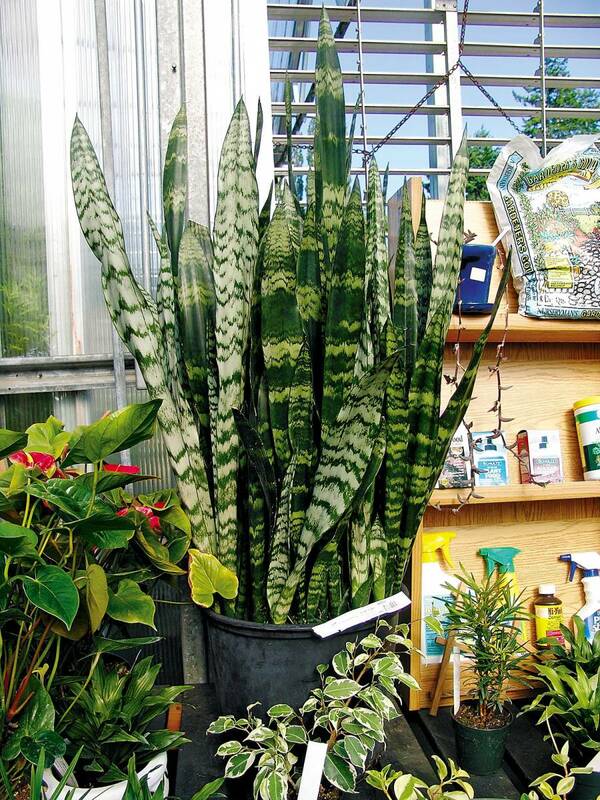 Durable is perhaps the perfect word for these houseplants. They all thrive on neglect, withstanding both over-watering and under-watering. You could even neglect them for several weeks. They can stand lots of light and also thrive in very low light conditions. If you’ve never had any luck with houseplants, try any of these for success. More houseplants die from too much watering than they do from not enough watering. When selecting a container for your houseplant make sure there are drainage holes and try to find a container with a separate saucer included. The pots with attached saucers often don’t hold enough water when the pot overflows, leaving water spots on furniture. Ideally you might want to place your plant in a sink for watering, letting it drain in the sink for a while. A few plants thrive on humidity though and will appreciate sitting on a saucer full of pebbles with water just barely covering the pebbles. Our local nurseries, grocery stores and home centers often carry houseplants on a regular basis, especially this time of year. Try to select a plant with a care tag included. Hopefully the care tag will also list the name of the plant and you can do some research about its growing conditions. Check to make sure the plant’s soil has not dried out too much. If the soil is very dry (except cacti), consider the plant dead because it may be soon. 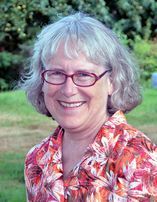 Stressed plants often croak. Jiggle the pot or tap it firmly to see if any critters fly away. If that happens, find a bugless plant instead. Check stems for scales (little hard bumps). Look for tiny red spider mites and webbing. If you see white powder spots or what looks like small white blobs, this is usually whitefly, so avoid that plant too. You want to avoid purchasing plants with these conditions, especially if you have houseplants already. 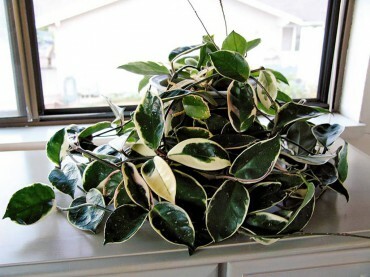 It’s a good idea to isolate your new houseplant for a few weeks until you know it is disease and bug free. Some houseplants get dusty after a while. If the leaves are smooth you can take the plants into a bathroom for a shower (literally) using tepid water. Let excess water drain out before returning them to their usual resting place. African violets and fuzzy leaved plants do not appreciate this hygiene though. You won’t want to use waxes or milk washes on leaves although some gardening lore suggests these tips. Many people receive a grouping of plants as a gift. Usually these groupings combine light-loving and dry seeking plants with shade-loving and moisture seeking plants. You can enjoy the plants as they are for a few weeks or months, but eventually you’ll want to find out their individual growing conditions and repot them separately, moving each plant to the light and soil it prefers. Now that you know the basics of plant care and selection, try your luck with one or more of the following plants. 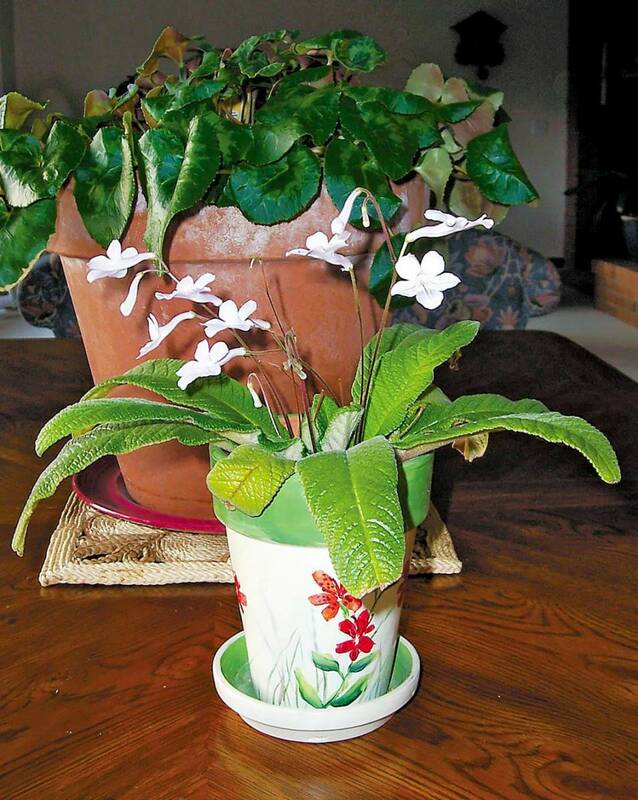 Gesneriads are mostly tropical plants which include: African violets (Saintpaulia hybrids), Gloxinia (Sinningia speciosa hybrids), lipstick plant (various species of Aeschynanthus) and goldfish plants (Nematanthus species and hybrids). 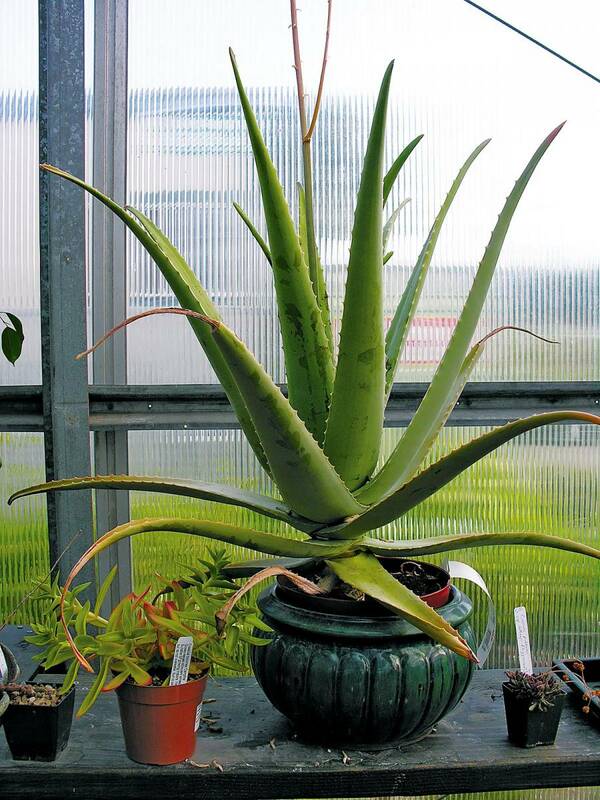 Many of the plants in this family are extremely easy to grow and are easily cultivated and shared with friends, by cuttings and divisions. Plants become festooned with colorful flowers several times a year. African violets are one of the best known plants in this family. 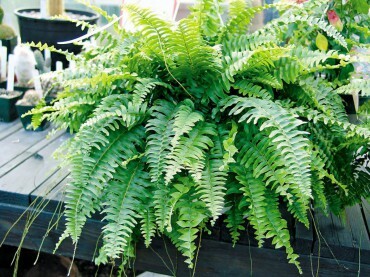 Their main requirements are plenty of bright, indirect light and regular watering, preferably from the bottom. 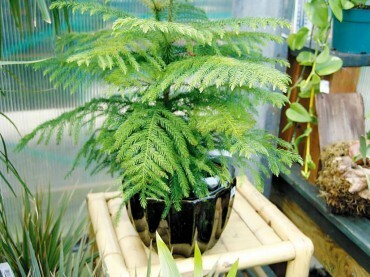 Satisfy this requirement by placing the plant in its pot, in a saucer large enough to hold about one-half inch of water for several minutes when watering. Use tepid or slightly warm water and fertilize once a month with a liquid fertilizer (10-15-10) except in the winter months since nearly all houseplants need a bit of a rest. Lipstick plants (Aeschynanthus) grow in a vining pattern. One variety blooms with deep black-crimson blossoms opening to expose tube-shaped petals mimicking fire-engine red lipstick. Streptocarpus (commonly called cape primrose) come in a variety of colors and sizes. Streptocarpus are forgiving of a bit of neglect. Some varieties bear the name Delta Blue, Concord and Royal Mixed (blends of velvety purple, deep pink and red). You might also find plants with blooms of white and pink. This time of year you’ll find florist’s cyclamen in shades of white, pink, rose, magenta, red and salmon at local nurseries, grocery stores and garden centers. The blooms of cyclamen have been described as shooting stars or clusters of butterfly wings. The flowers consist of five petals held upright on single stems. The blossoms almost look as if they are turned wrong side out. Leaves are dark green and some are dappled in lighter green tones (almost with a silver sheen). Florist’s cyclamen require frequent watering (at least once or twice a week if your house is warm and dry). You can either put the pot in a bowl of water until the soil becomes evenly moist, or water from the top, but don’t leave the plant sitting in water. Only moisten the soil. Be careful not to water the very center of the plant. When repotting, make sure one-third to one-half of the tuber remains exposed and not covered with soil. As spent blooms and leaves dry up, gently pull them off the plant, rather than snipping them off. Visit www.cyclamen.org for the Cyclamen Society pages where you’ll find everything you can imagine about this tempting plant. If you want to try your luck at growing cyclamen from seed this is the site for you. The color photos and horticulture details are well worth the look. Even Ed Hume and Ciscoe Morris have cyclamen information on their Web sites at www.humeseeds.com and www.ciscoe.com. First you’ll need to repeat this mantra, “Holiday cacti are easy to grow.” Remember this every time you read something that says how hard they are to grow and coax into bloom. The plants are epiphytic plants native to Brazil, growing in trees in the Organ Mountains (22 south latitude) with temperatures a constant 60-70 degrees F and rainfall at 17 inches per month during December through March. 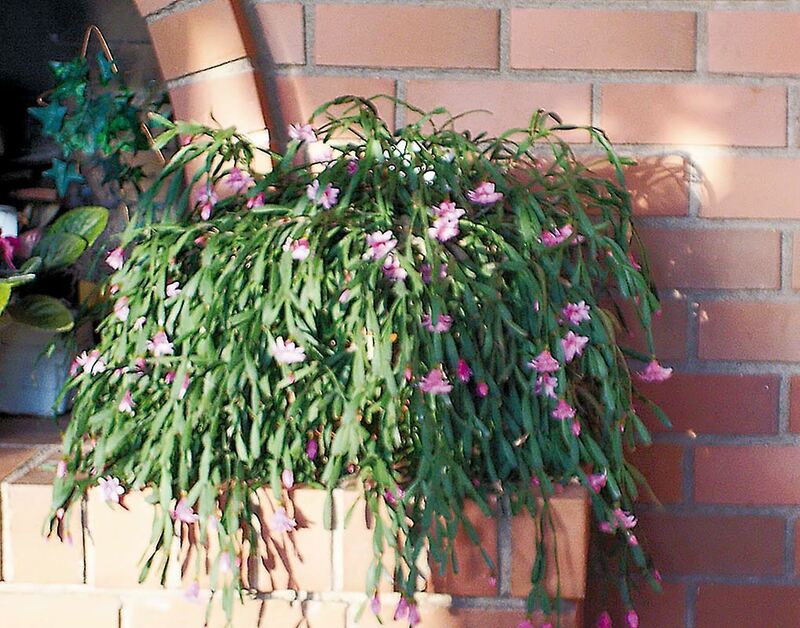 We’ve known these plants as Schlumbergera. Some plant tags might label them Zygocactus, Ephipyllum, Cereus or Cactus. Some labels read Schlumbergera truncata (with yellow anthers on the flowers) or Schlumbergera bridgesii (flowers with purple anthers). Many of the epiphytes we purchase are crosses of these cultivars. To further complicate matters, the Easter Cacti are really Rhipsalidopsis gaertneri. Don’t panic about these seeming complexities, the next few paragraphs will lead to the easy part of growing these user-friendly plants. Schlumbergera were named after a Belgian horticulturist, Frederick Schlumberger. Europeans call it “Crab cactus.” (Look at the leaves.) In Brazil the plant flowers during April and May. 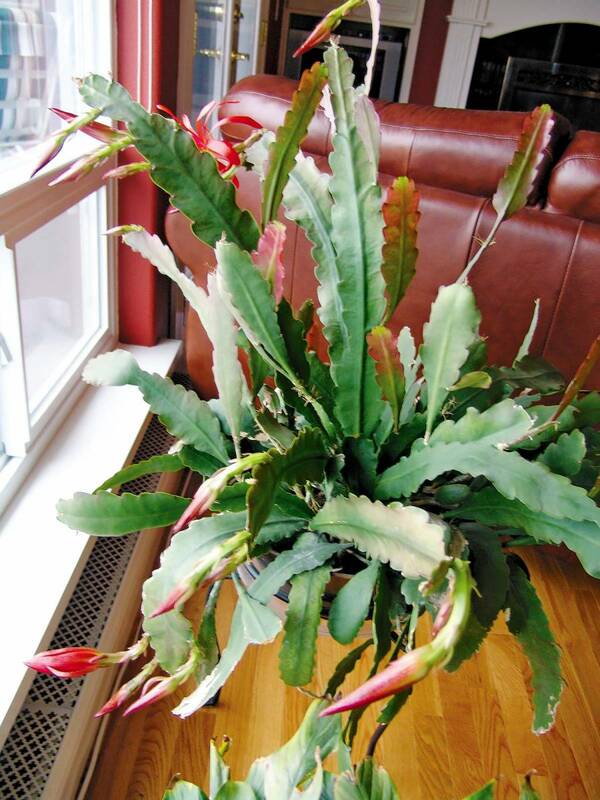 Leaves of Schlumbergera have joints with serrated edges. Rhipsalidopsis have narrower, more rounded leaves with tiny hairs along the edges. Some Rhipsalidopsis look fern like. Blooms of all of these holiday cacti are bright and colorful in shades of pink, red, purple, orange, yellow and white. The Schlumbergera flowers are longer with blooms strung together, festooning the tips of the leaf segments. Rhipsalidopsis blooms are star-shaped single flowers on the tips of the leaves. Many books and articles recommend cold temperatures, special potting mix, and periods of dry soil to get these cacti to bloom. Most commonly you’ll read,”Put the plant in a cold place (garage) for several weeks or months to gain blooms.” Researchers found that letting the cacti dry out actually inhibits bloom. And, in a garage, you could lose the plant to chill or neglect. In nature their growing conditions are actually similar to orchids and African violets. African violet potting soil is a good growing medium. Don’t use cactus mix (it drains too quickly). 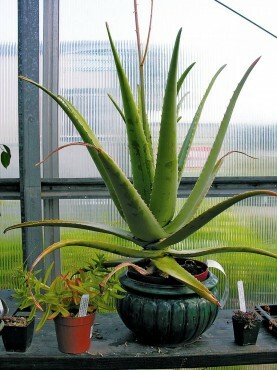 Much plant lore recommends putting houseplants outside in the summer. Our weather isn’t as houseplant friendly as some other areas of the country. It might be wise to keep indoor plants indoors. Another motto is, “if it isn’t broken, don’t fix it.” If your houseplants are thriving, continue doing what you’re doing. One other perk of keeping houseplants in the house, is they very rarely get unfriendly critters sucking and munching on their leaves. A few houseplants (Hypoestes phyllostachya (polka dot plant) and carnivorous plants for example) will die if given nitrogen fertilizer so make sure you read up on your particular chosen plants before supplying them with any fertilizer. 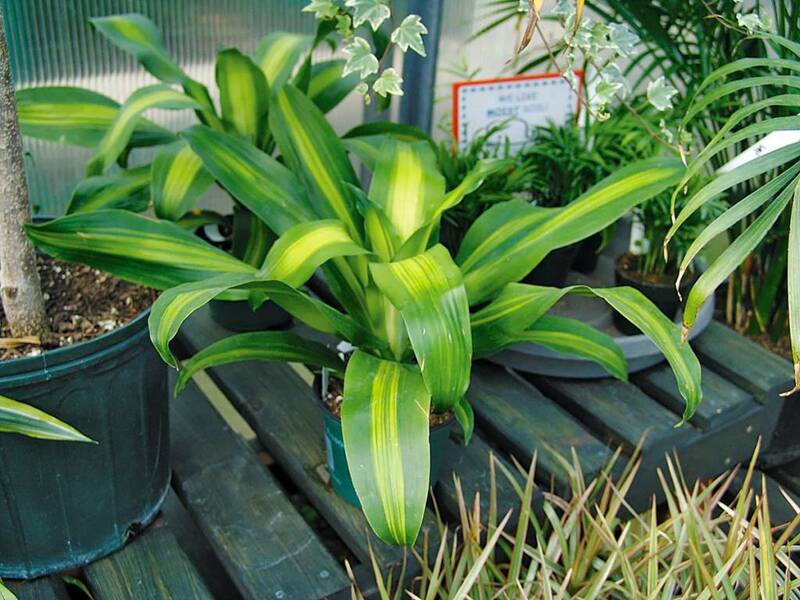 Other houseplants like to be potbound before they will flower. Again, search out information before automatically re-potting a houseplant. Try your green thumb on some indoor plants during this fall and winter season. Remember, houseplants are just like outdoor plants in one way if you kill the plant, make compost.